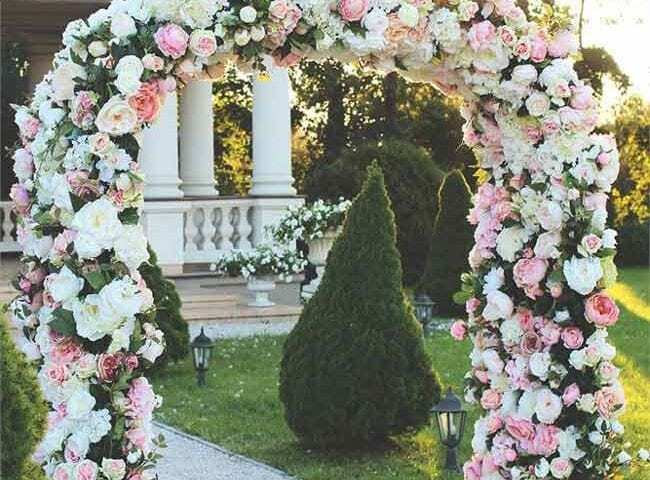 If you have been to a few wedding events in the past, then you may be a crazed-fan about flower walls or floral backdrops. They are traditionally used to bring a harmonious balance throughout the wedding venue, they had a center of attention and are ideal for photo sessions with the entire family. But the excitement doesn’t end at a wedding event anymore! According to recent post, it seems that the trend in floral décor’s are making its way into our homes and have infiltrated most of our home’s furniture. Nowadays when you go shopping for pillows, cushions or curtains, 8 out of 10 the decoration will be filled with floral décor. In this post, we will be discussing some of the trendiest ways to get that natural-floral essence feel and look into your home! When you invite guests over to your home, they most likely are to either be seated in the living room or in some cases, the bedroom. To revamp your home and bring that wondrous floral essence feeling and look, the very first thing you ought to do is change the paint color of your walls in which resembles lighter colors that promotes positive feelings. Color plays a huge role in human psychology. It’s a well-known factor that people perceive understanding of a color based on how it looks and how it makes us feel. The second thing you want to do is that you want to determine what kind of floral decors you are looking for and which style will best suit you and your wonderful room. There are so many ideas out there that you can use as decoration piece, sometimes using elements that looks “dull and bulky”, such as a piece of wood, makes an excellent foundation for your floral décor. Use floral elements like flower pedals to build your design. Consider using artificial flowers, that way you don’t have to worry about watering them or them dying on you. Since artificial flowers can be replaced, you can change the floral design frequently as per to your desire, all year long! Now, you need elements to blend, elements like antique lamps, chandeliers, center-pieces or any random container can be used for elemental blending. Try to add a reverse color of the walls for your curtains, which should add some contrast. For example, if your walls are yellow, black or rich-green curtains looks good together, so associating complimentary colors from the primary colors, you should get an overall balanced coloration that matches the floral decors of the room. Purchase floral décor printed pillows and cushions in which would add the personal touch to the overall theme of the room. One of the best things about bed sheets, curtains and pillows, is that they can be frequently changed through the entire year, so that you don’t get bored from the same design. If you have enjoyed this post, consider sign up for daily notifications and news by simply visiting FloralEssenceFlowerWall and signing-up today!